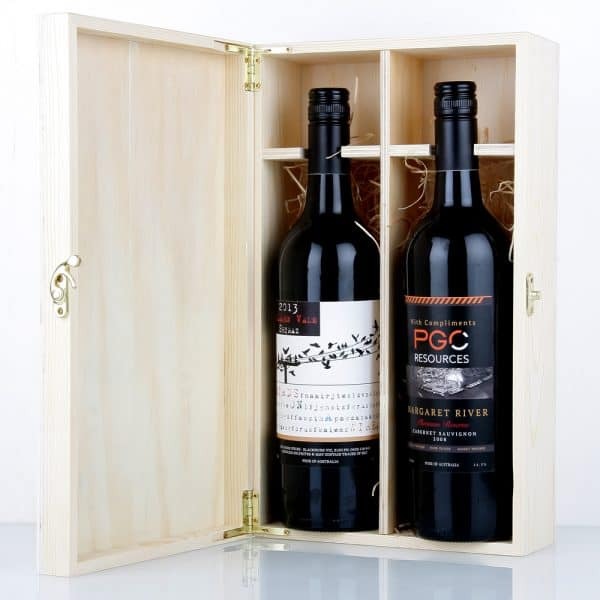 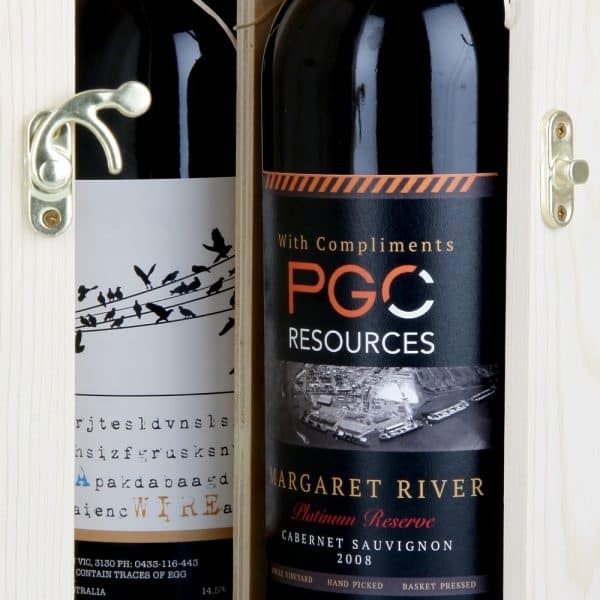 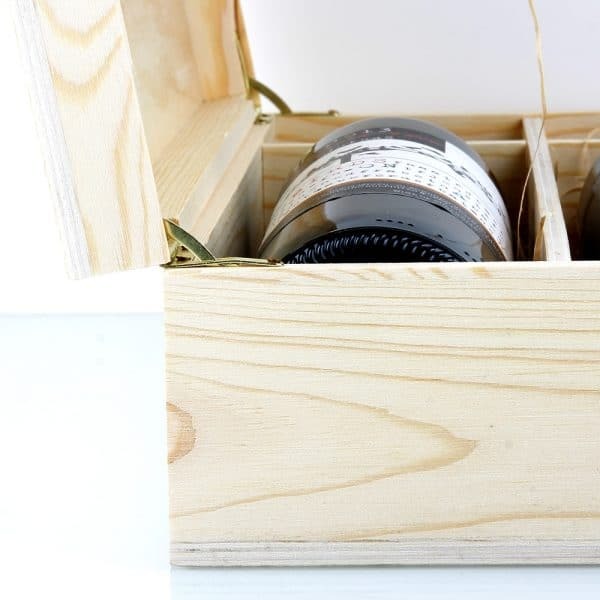 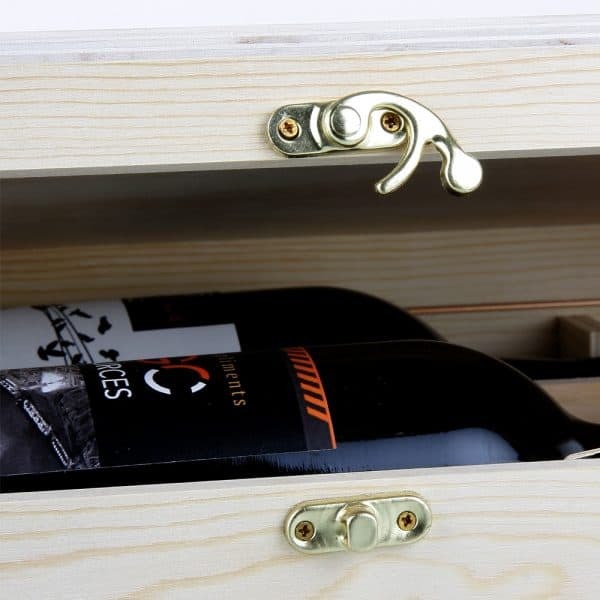 This Premium Timber 3x Bottle Wine Gift Box holds two bottles of wine. 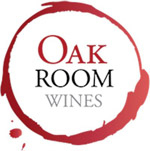 Oak Room Wines specialises in custom labelled wine and corporate gifts delivered Australia wide. 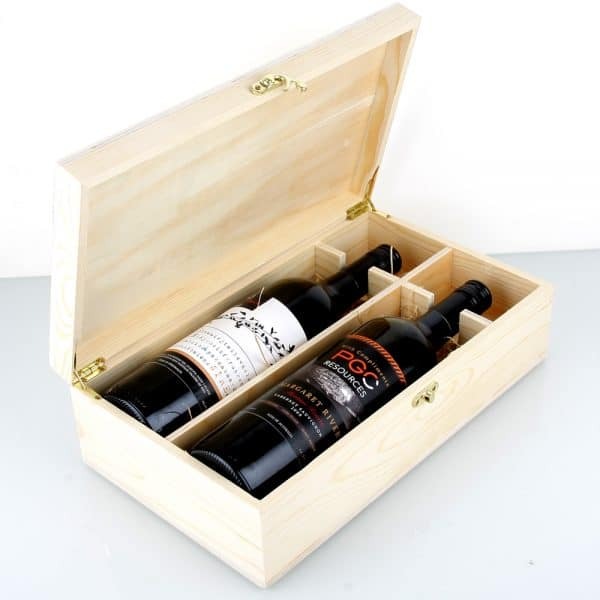 We can use this style of gift box to ship to 1 or a 100 individual recipients. Gift cards, thank-you notes and invitations can also be printed or provided to be enclosed with the wine. The sides or lid can be laser engraved with company logo or personalised messaging. 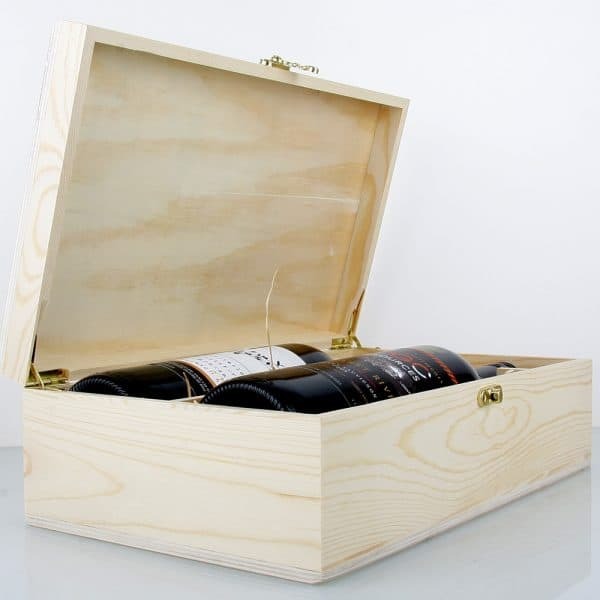 When packaged with “Wood Wool” this adds class and safety to the wine during transport and presentation to the recipient.